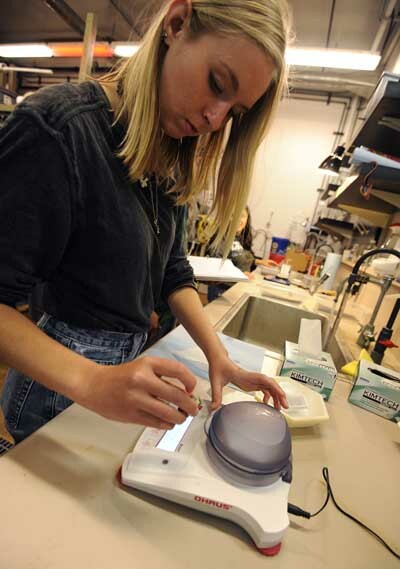 A team of MBARI scientists is monitoring abalones under carefully controlled environmental conditions for two months to learn more about how these animals will fare in future ocean conditions. 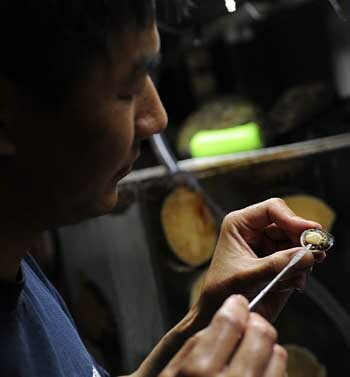 Abalone live near the coast, an area subject to upwelling—the process of deep nutrient-rich water coming up toward the surface. Recent research indicates that coastal species exposed to upwelling can have lower growth rates, weaker calcification, and low rates of survival. Future upwelling is expected to be more stressful for coastal animals due to ocean acidification and declining oxygen levels. 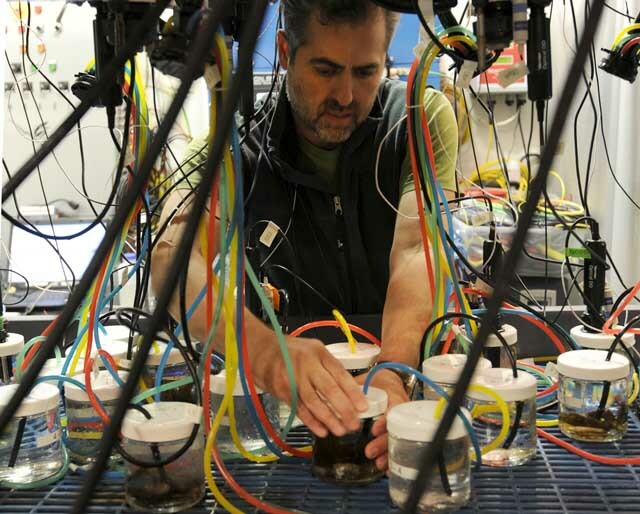 As part of their ongoing research into the impacts of a changing ocean, MBARI Scientist Jim Barry and his Benthic Ecology Group designed a complex system that allows them to simulate changing ocean conditions. 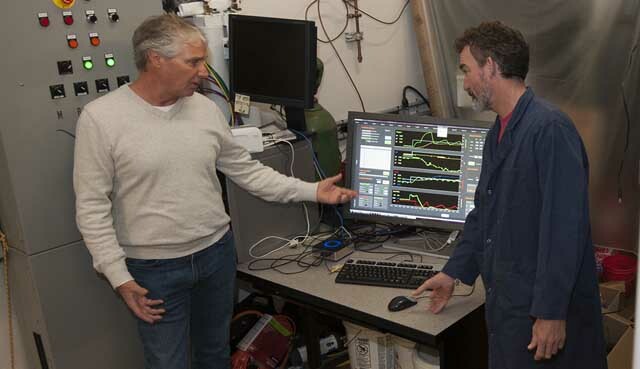 The system contains 15 chambers, where the researchers can vary upwelling-related water qualities—temperature, oxygen, and acidity (pH). 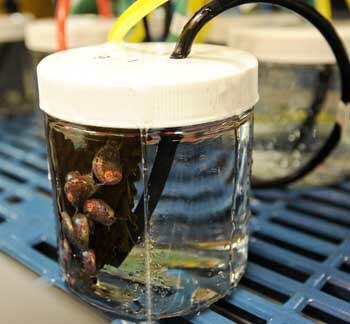 After the abalone have been in this system for two months, the researchers will compare how varying conditions affected the growth and calcification of the animals. The results will help researchers understand how natural and human-caused climate variability is affecting coastal species and ecosystems. 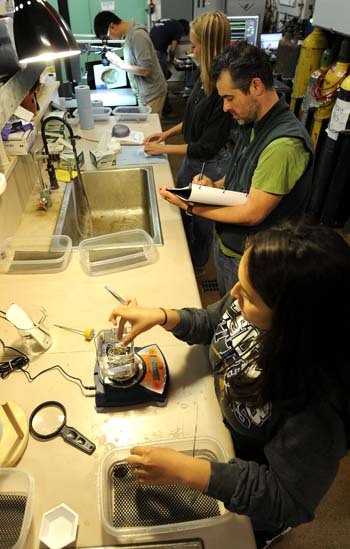 The following photographs show MBARI staff and interns setting up this experiment in MBARI’s seawater lab.